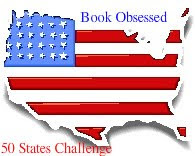 Book Obsessed is hosting the 50 States Reading Challenge in 2011. The goal is to read one book for each of the 50 states by the end of the year. Click here to sign up!